At a stunningly rapid clip, Ahn has defined himself as the outsider to Moon’s insider. In addition, with the Korean right in shambles after Park’s implosion, many conservative voters — for now at least — seem to prefer a strategic vote for Ahn instead of a more right-wing candidate. Ahn is a relative newcomer to Korean politics, after founding AhnLab, Inc., an antivirus software company, and serving for a time as graduate school dean at Seoul National University. 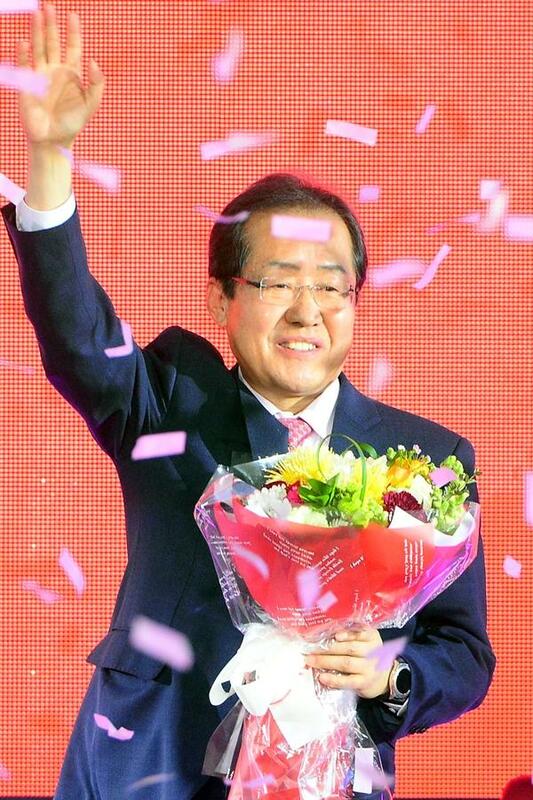 He stormed onto the political scene during the Seoul mayoral race in 2011, and his support for independent candidate Park Won-soon (박원순) is widely viewed as a key to Park’s success. Ahn first aimed for the presidency in the 2012 election. With no runoff system in Korean presidential politics, however, liberal and progressive voters initially divided between Moon and Ahn, leaving the conservative Park Guen-hye with a much easier path to victory. Three weeks before voting began, Ahn dropped out and endorsed Moon. That wasn’t enough to save Moon’s candidacy in 2012, and he lost the election to Park by a nearly 4% margin. Nevertheless, the Moon-Ahn alliance continued even after that election, and it formalized in 2014 with the merger of Moon’s center-left Democratic Party (더불어민주당) and Ahn’s growing movement, boldly proclaimed as the New Politics Alliance for Democracy. But the two leaders and their followers never fully managed to gel into a cohesive coalition. With the 2016 parliamentary elections on the horizon, Ahn quit the alliance in November 2015 and formed the People’s Party (국민의당) two months later. The final split with Ahn left Moon nominally in charge of what was once again just the Democratic Party (also known as the ‘Minjoo’ Party). Yet before, during and after the merger with Ahn’s liberals, the Democrats themselves were also sharply divided internally over the legacy of former president Roh Moo-hyun (노무현), a controversial left-wing president who advanced a conciliatory ‘sunshine policy’ towards North Korea. As Roh’s former chief of staff, Moon has always represented the pro-Roh faction within the party. 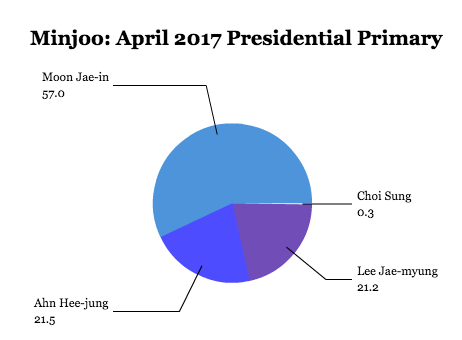 Luckily for Moon, the anti-/post-Roh factions never united on a single presidential contender for 2017, and Moon easily won the Democratic Party’s nomination on April 3 against two rising stars — Ahn Hee-jung (안희정), the 51-year-old governor of South Chungcheong province, and Lee Jae-myung (이재명), the 52-year-old mayor of Seongnam, the latter known for social welfare reforms to boost youth employment, education and poverty reduction among the elderly. While Lee campaigned on economically progressive programs like a universal basic income, Ahn campaigned on more moderate economic policies, though Ahn himself is a former Roh aide who even went to jail in 2004 for campaign violations on Roh’s behalf in the 2002 election. Unlike many top South Korean politicians, Ahn has openly spoken out in favor of the rights of LGBT Koreans. Both Ahn and Lee have bright futures ahead in the Democratic Party, but Ahn’s appeal as a moderate reformer bearing the torch of generational change resembles the same appeal of Ahn Cheol-soo, who, at 55, is nine years younger than the 64-year-old Moon. The Minjoo standard-bearer will also struggle with his long history in national politics, carrying the baggage of Roh’s administration and his 2012 loss to Park Guen-hye. 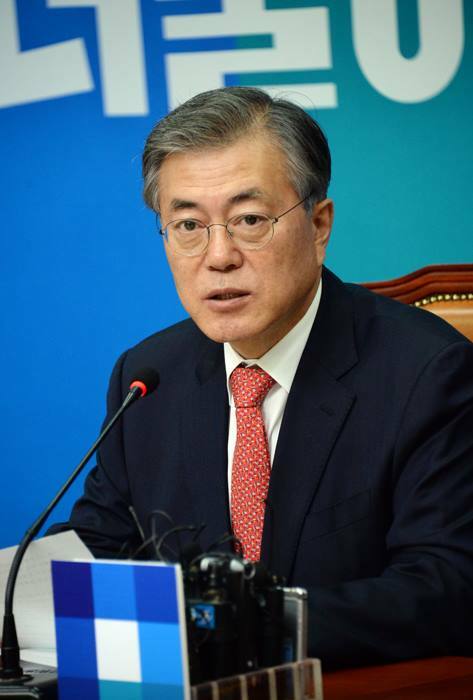 In a warning sign for his party, Moon’s Democrats actually won fewer votes in last April’s parliamentary elections that Ahn’s People’s Party, though the Democrats emerged (by one seat) with the largest faction in South Korea’s National Assembly. Even more ominously, the People’s Party exceeded the Minjoo in southwestern Jeolla province, a longtime Democratic stronghold. Hong Jun-pyo hopes to rally the once-dominant South Korean right, but Park’s impeachment and arrest have tainted all conservatives. For now, it looks like neither Moon nor Ahn will face much of a challenge from the traditional Korean right, in tatters after Park’s impeachment and arrest. Park’s downfall was so traumatic to the conservatives that they rebranded the party for the second time in five years — from the ‘Saenuri’ Party to what they now call the Liberty Korea Party (자유한국당). Park — the daughter of Park Chung-hee (박정희), the autocratic general and president who governed South Korea from 1961 until his assassination in 1979, presiding over a sustained economic boom — rechristened the party in the wake of unpopular former president Lee Myung-bak (이명박), who left the Blue House in 2012 with many of his family members under a cloud of corruption. Park’s scandal, however, widely outpaces the whiff of corruption that surrounded Lee, Roh and prior administrations. After weeks of growing protests that sometimes exceeded two million people, 234 of the 300 members of the National Assembly impeached Park in December. Park was removed from office on March 10 after a unanimous 8-0 ruling of the constitutional court, the first such removal in South Korea’s democratic history. The Park scandal revolves around her decades-long relationship with Choi Soon-sil (최순실), the daughter of a Korean Christian cult leader, who essentially shook down businesses for illicit bribes. The scandal is as quirky and personal as it was sweeping. But even aside from corruption, Park will go down in South Korean history with an ignominious record — restricting press freedom and presiding over the sinking of the Sewol ferry in April 2014 that killed 295 Koreans. Nevertheless, the Liberty Korea Party also nominated a candidate last week: Hong Jun-pyo (홍준표), who since 2012 has served as the governor of South Gyeongsang province. A hard-line conservative and formerly the chair of the Grand National Party (what the Saenuri called itself before it was Saenuri), Hong was closer to Lee Myung-bak than to Park. He’s running a campaign as something of a strongman willing to stand up to North Korea (and otherwise) in east Asia. But Hong was never the first choice of Korean conservatives. Hwang Kyo-ahn (황교안), the acting president who officially assumed his duties in December, ruled out a presidential bid of his own despite polling much higher support than Hong. A former prosecutor and justice minister, Hwang had served since June 2015 as Park’s prime minister, and is generally seen as one of Park’s few remaining loyalists in government. Ban Ki-Moon (반기문), who stepped down last December after 10 years as secretary-general of the United Nations, was in many ways the dream Saenuri candidate throughout much of last year. But he had long been absent from Korean domestic politics, last serving as foreign affairs minister in the Roh administration (shortly before taking the UN’s top job). A decade as the top UN diplomat had forced Ban to take some positions (especially on the status of ‘comfort women,’ young Korean women forced in sexual slavery by the Japanese during World War II) anathema to a domestic audience, and his younger brother and other family members have been increasingly under suspicion for bribery. Running as Saenuri’s savior would have been an uphill battle, and a presidential flop could make an embarrassing coda for a former UN secretary-general. Ban ultimately withdrew from consideration in early February. Worsening their plight, the Korean right is still very much divided. 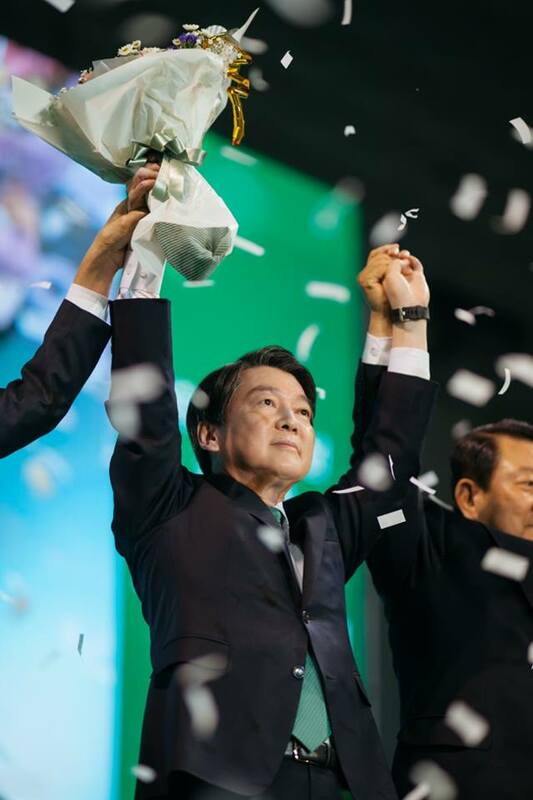 A small number of pro-Park loyalists have formed their own, new Saenuri Party. 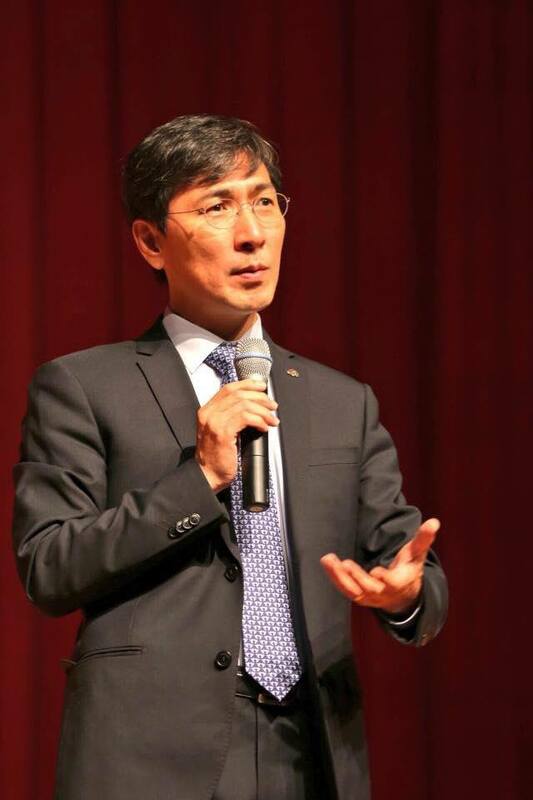 Nevertheless, the Bareun Party (바른정당), which formed in December 2016 as a splinter group of anti-Park Saenuri members, has nominated Yoo Seong-min (유승민), an economist and National Assembly member since 2005, as its presidential candidate. It’s possible that Yoo and Hong will eventually join forces, but the bigger problem for both them is that many of their natural supporters are shifting strategically to Ahn Cheol-soo. Kim Jong-un, more than anyone else in the world, has the power to reshuffle the South Korean presidential election. In the meanwhile, the rest of the world is watching as the Trump administration increasingly sends hawkish signals about North Korea. Shortly after Hwang took office (with nearly a month to go for the Obama administration), he put South Korea’s military on high preparedness, in the event that Kim Jong-un (김정은), the totalitarian North Korean leader, would use the political uncertainty as an opportunity for a preemptive strike. 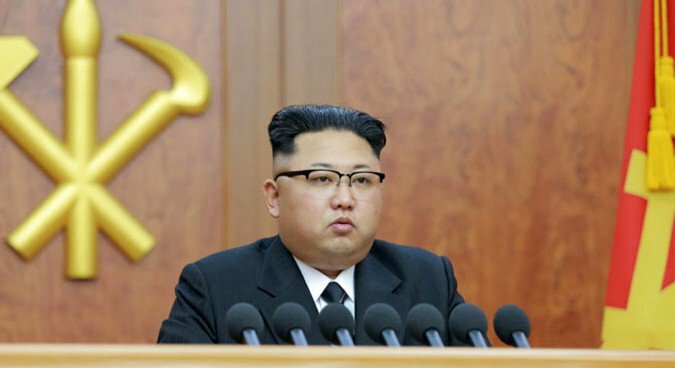 Kim’s posture has become increasingly belligerent, starting with a fresh ballistic missile test in March 2014 and a new nuclear test in September 2016, when the regime claimed it could mount a nuclear warhead on a ballistic missile. In February, Kim escalated tensions in the Trump era by launching a ballistic missile into the Sea of Japan, followed by four more last month. Both Seoul and Tokyo have cautioned Trump against military action without coordinating with traditional US allies. Moreover, the United States is racing to deploy THAAD even before May 9, which would make it more difficult for the next administration to repair ties with North Korea or China — the latter is deeply opposed to THAAD as a threat to Beijing’s security interests in the region. With just over a month left in the presidential campaign, South Korea’s presidential candidates cannot rule out either a preemptive US strike against Pyongyang or a North Korean strike. Ultimately, there’s no telling how a strike would affect the vote. It might well discredit Moon’s conciliatory approach. The Minjoo nominee, whose parents escaped from North Korea, still hopes for eventual reunification, and he has said that his first trip abroad as president would be to North Korea. That approach, which represents a pivot away from the last decade of policy and towards the ‘sunshine policy’ of Roh and Roh’s predecessor Kim Dae-jung (김대중), might seem precariously out of step if north-south relations deteriorate in April. Voters may instead gravitate toward Ahn or even Hong, who has called for the re-deployment of US nuclear missiles to South Korea previously recalled in 1991.